Here is a great version of a "classic"
This particular recipe has a sweet dressing that provides a nice contrast with the crunchy peppers, the onion and the beans...enjoy! Prep all the veggies and beans and place in a large bowl. Meanwhile, combine sugar, vinegar and oil in a medium saucepan. Bring to a boil and cook for about 1 1/2 minutes. Allow to cool. Pour over veggies and refrigerate overnight. This dish can also be frozen for use later! 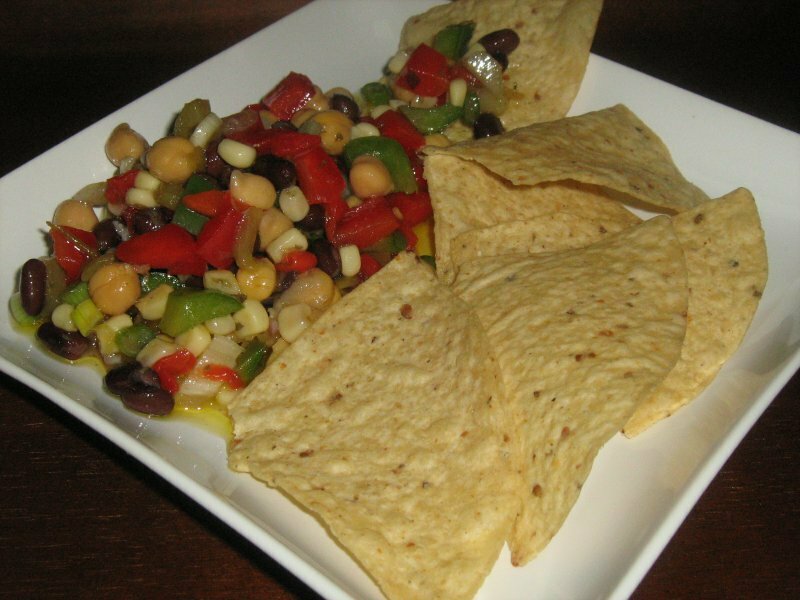 This recipe makes a large bowl of Texas Caviar...I estimate the servings at at least 12!